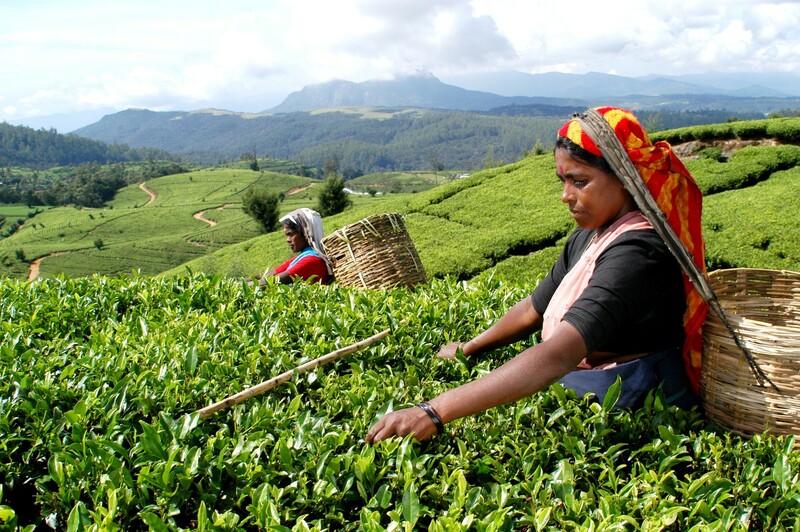 Sri Lanka formerly known as Ceylon is known world wide for its tea. 1st bought to the country by British Colonial planters it became one of the main economic industries in the country. 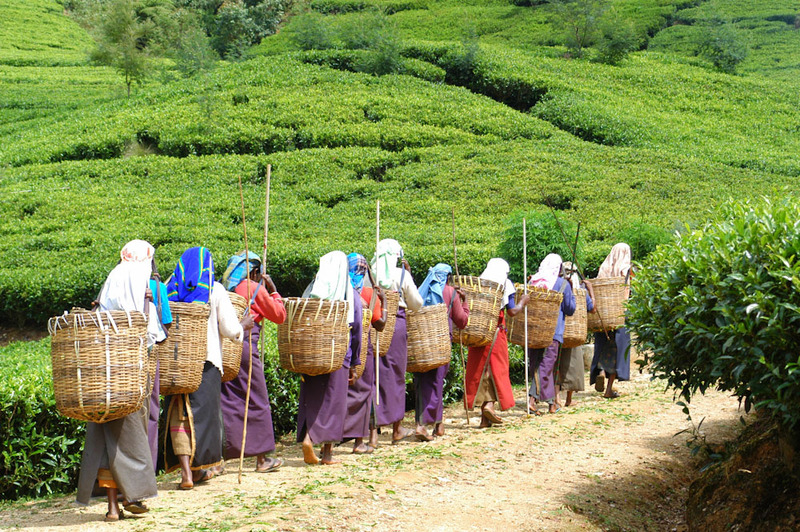 On this tour you explore the tea industry from head to toe. Visit one of the very 1st tea bushes to be planted as well the very 1st commercial tea bush that was planted in the island. Visit the ladies who meticulously pluck two leaves and a bud that make the world-famous brew. Visit the factories that churn out processed tea that is sent the world over. Thereafter proceed to NEGOMBO. The name "Negombo" was first used by the Portuguese ; the Sinhala name Mīgamuva, means a "Hive of Bees". It had been named a few centuries before in the ancient kings' era. The army of King Kavantissa found bee's honey in a canoe near the seashore, for Viharamahadevi who was pregnant with the prince Dutugamunu. Because of this, the place was named "Mee-Gomuwa". Negombo is known for its huge and old fishing industry with busy fish markets and sandy beaches. Landing in the early 1500s, the Portuguese ousted the Moors, constructed a fort in Negombo and took over the trade of cinnamon to the West. An early morning drive takes us to the city of Kandy where we will visit the UNESCO World heritage Kandy city and in the evening visit the Temple of the Sacred Tooth Relic. Kandy was the last capital of the ancient kings' era of Sri Lanka. The city lies in the midst of hills in the Kandy plateau, which crosses an area of tropical plantations, mainly tea. Kandy is both an administrative and religious city and is also the capital of the Central Province. Kandy is the home of The Temple of the Tooth Relic (Sri Dalada Maligawa), The English name Kandy, which originated during the colonial era, is derived from an anglicized version of the Sinhalese Kanda Uda Rata (meaning the land on the mountain) or Kanda Uda Pas Rata (the five counties/countries on the mountain). The Portuguese shortened this to "Candea", using the name for both the kingdom and its capital. In Sinhalese, Kandy is called Maha Nuwara, meaning "Great City" or "Capital", although this is most often shortened to Nuwara. In the evening we visit the Sri Dalada Maligawa or the Temple of the Sacred Tooth Relic. Buddhist temple in the city of Kandy, Sri Lanka. It is located in the royal palace complex of the former Kingdom of Kandy, which houses the relic of the tooth of the Buddha. Since ancient times, the relic has played an important role in local politics because it is believed that whoever holds the relic holds the governance of the country. 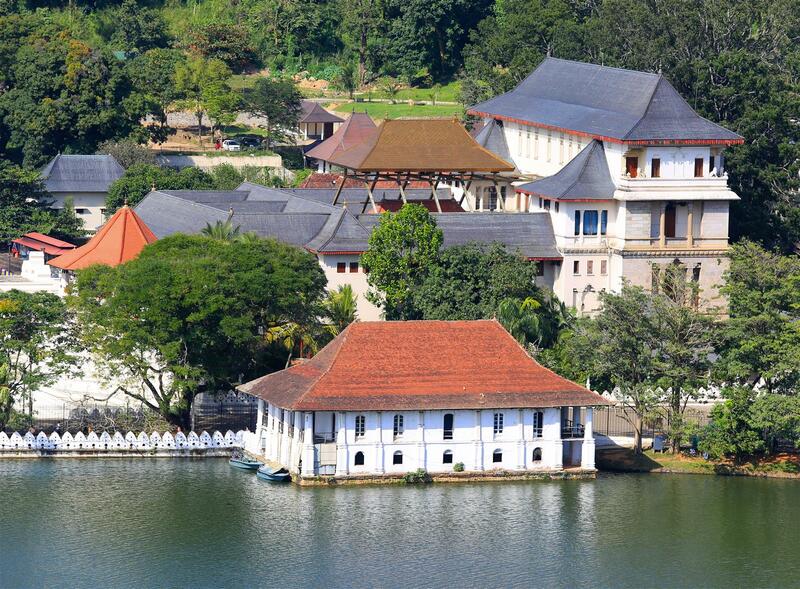 Kandy was the last capital of the Sri Lankan kings and is a World Heritage Site mainly due to the temple. we have a morning visit to the Royal Botanical Gardens in Peradeniya where the first tea plant was planted. In 1824 the first tea plant was brought(smuggled) to Ceylon by the British from China and was planted in the Royal Botanical Gardens in Peradeniya for non-commercial purposes. Further experimental tea plants were brought from Assam and Calcutta in India to Peradeniya in 1839 through the East India Company and over the years that followed. In addition to you can witness of variety of Fauna and flora including palms, avenues, collections of orchids, gymnosperms, and flowering trees. After lunch we visit a tea museum, situated in Hantana, The museum was a battered old tea factory awaiting demolition, when it was rescued by Sri Lanka Tea Board (SLTB) and Sri Lanka's Tea Planters Association and Colombo Tea Trader’s Association to establish a museum dedicated to the tea industry, planters and manufactures of the country. 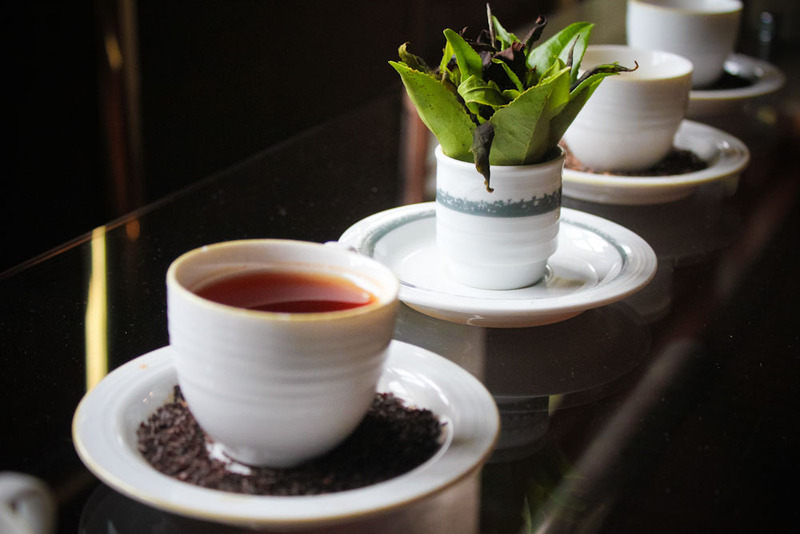 The museum details the tea manufacturing process, celebrates legendary planters and pioneers of the industry and contains a souvenir and a tea shop for the tea lovers. A library containing the old images and written records and archives of tea industry provides excellent eye and mind candy to Ceylon Tea enthusiasts, while the auditorium is an ideal venue for tea related conferences. With tea come early mornings as we visit another important palce in the story of tea. The country's first tea garden at Loolecondera Tea Estate in Galaha is popular tourist destinations with their history linked to the tea cultivation of Sri Lanka. known as Loolkandura Plantation among the locals, Loolecondera Tea Estate is the grand old lady of Sri Lankan Tea industry, still in her prime . It is here in the No.7 field of Loolecondera, Scotsman James Taylor tried his hand at tea cultivation, giving rise to a US$ 1.5 billion industry. Full day rest at a luxury manor house hotel on Taylor Hill, provides modern-day comfort to visitors, who come to Loolecondera, seeking the old age nostalgia of the country's 150-year-old tea industry. Today we have a full schedule which starts of course with tea! Enjoy a guided walk through the tea plantation, James Taylor Seat, Tea Tree, James Taylor Statue, James Taylor Log Cabin and weighing stations . Here you can see Taylor’s Seat, a rock seat used by James Taylor which gives a fantastic view of the surrounding mountain ranges, The chimney of the log cabin which was used by Taylor (only remaining part of the cabin), The well-used by Taylor and the very first patch of tea which was planted by Taylor now known as the No.7 field of the Loolkandura. James Taylor Statue is a monument built in honour of the Godfather of Ceylon Tea as thanks from the local families who benefited from the introduction of tea to the area. Visitors can Walk up to the remains of where James Taylor once resided among pretty flower gardens and read the tale told in the ‘Ode to James Taylor’ and Observe gatherings of tea pluckers with their burgeoning bags of tea leaves as they weigh their daily harvest using original equipment. In the morning you proceed to Nuwaraeliya for a tour of the city and a bit of cycling. Nuwara Eliya Situated at around 2000m above sea level and surrounded by lush tea plantations. 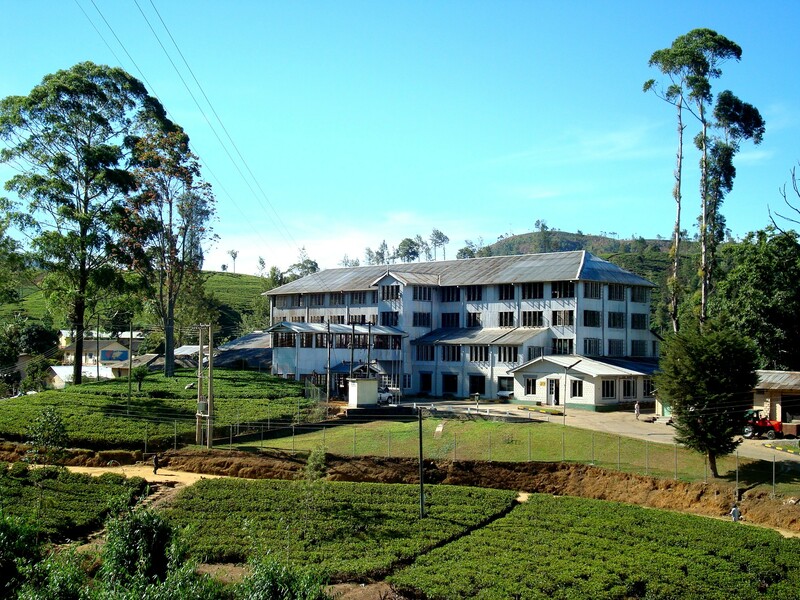 Nuwara Eliya is the main hill resort of Sri Lanka and the heart of the tea industry. This city with an elevation of 6200 meters is the highest in Sri Lanka. Once a pleasure retreats of the European planters the town is still very much an English town with many English style bungalows and buildings. History says Nuwara Eliya was discovered by a hunting party led by Dr. John Davy in 1818. The British governor at the time, Sir Edward Barnes, was told about this and subsequently decided to take residence there, soon creating a health resort, which soon became internationally renown. Nuwara Eliya is decidedly English in some way (houses, gardens and places names) and was planned to be an English village by a pioneering Englishman, Sir Samuel Baker in the mid-19th Century. Travelers from the UK will be particularly attracted by the architecture which is decidedly Victorian. Even modern buildings are built in the same fashion to preserve Nuwara Eliya's unique atmosphere. Nuwara Eliya was home away from home for the British colonialist in the 19th century. Later the district became known as a spot where ‘English’ vegetables and fruits such as lettuce and strawberries could be successfully grown for consumption by the colonists. Coffee was one of the first crops grown here, but after the island’s coffee plantations failed due to disease, the colonists switched to tea. 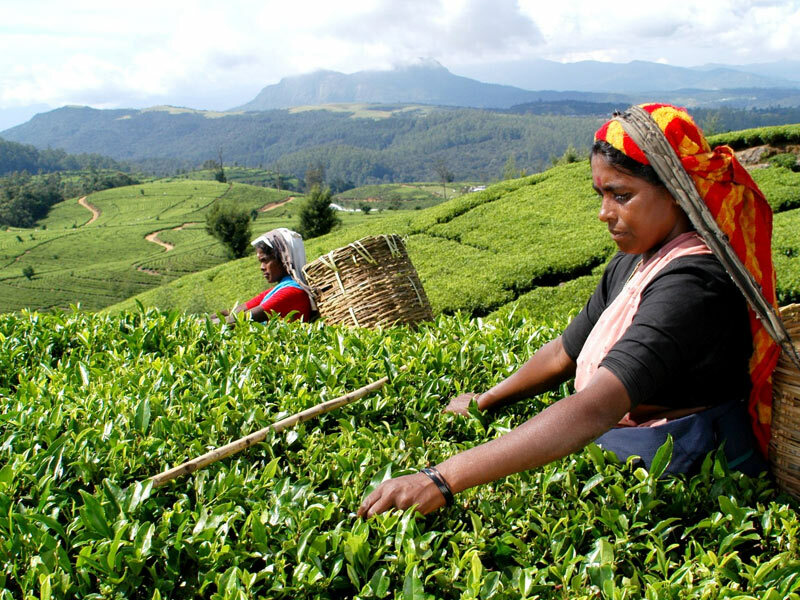 The first tea leaves harvested in Sri Lanka were planted at Loolecondera Estate, in the mountains between Nuwara Eliya and Kandy. As tea experiments proved successful, the town quickly found itself becoming the Hill Country’s ‘tea capital’, a title still proudly borne. This morning we'll drive to Haputale and we start a tuk tuk ride to the Lipton’s Seat. This location a lookout, is one of Sri Lanka's most impressive viewpoints (unless it's misty and cloudy of course.). The Scottish tea baron Sir Thomas Lipton used to survey his burgeoning empire from here, and today it's said you can see across emerald hills and tea estates to no fewer than seven different provinces. This land Sir Thomas Lipton purchased for his own tea garden, started tea planting and packaged and sold as the first Lipton tea. Staying true to this vision, he arranged packaging and shipping at low costs and sold his tea in packets with the advertising slogan: "Direct from the tea gardens to the teapot. Hence Lipton’s seat is very important place to visit. After a good lunch we visit another historical place located near Bandarawela, Dova temple is believed to be constructed during King Walagamba's era. Ancient legends reveal this cave as a secret hiding places for the king during enemy attacks. Later he instructed a person called "Kumbaltissa" to construct a temple here as a Buddhist monastery. Today many travelers are attracted to this place because of its utmost archaeological value plus charm and beautiful environment. Today morning you proceed to Udawalawa and check in to the hotel, before an evening safari at Udawalawa National park. With herds of elephants, wild buffalo, sambar and spotted deer, and giant squirrels, this Sri Lankan national park is one of the nation's finest. 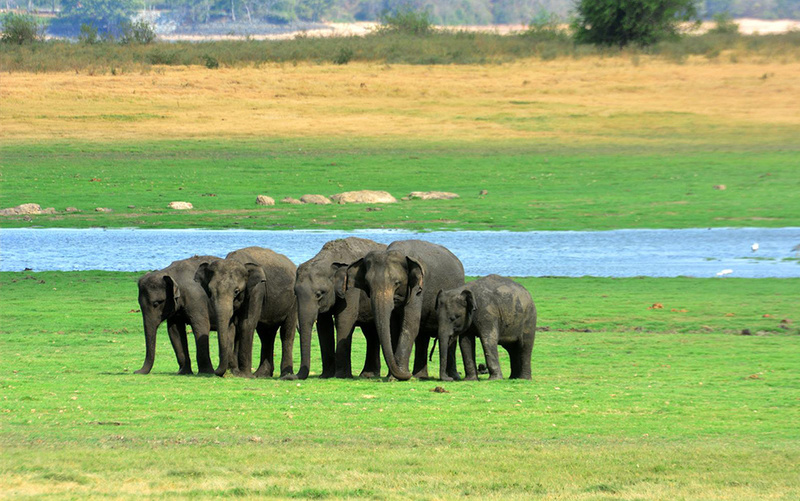 The park, which centers on the Udawalawe Reservoir, is lightly vegetated, but it has a stark beauty and the lack of dense vegetation makes game-watching easy. Besides elephants, sambar deer and wild buffalo, there are also mongooses, jackals, water monitor lizards, lots of crocodiles, sloth bears and the occasional leopard. There are 30 varieties of snakes and a wealth of birdlife – 210 species at last count; northern migrants join the residents between November and April. After breakfast we drive towards a popular small beach town called Ahangama on route we will stop over at a small Organic Tea Factory. The Galaboda Tea Factory has a long history of tea making experience, handed over from generation to Generation. They have been in the tea manufacturing business for the past 75 years and have established a name for them selves for Black Tea throughout Sri Lanka for quality, manufacturing standards and taste. There are 3 hiking paths for the avid hiker to choose from at the location. After the Organic tea factory experience you travel to your beach hotel in Ahangama and check in to the hotel. 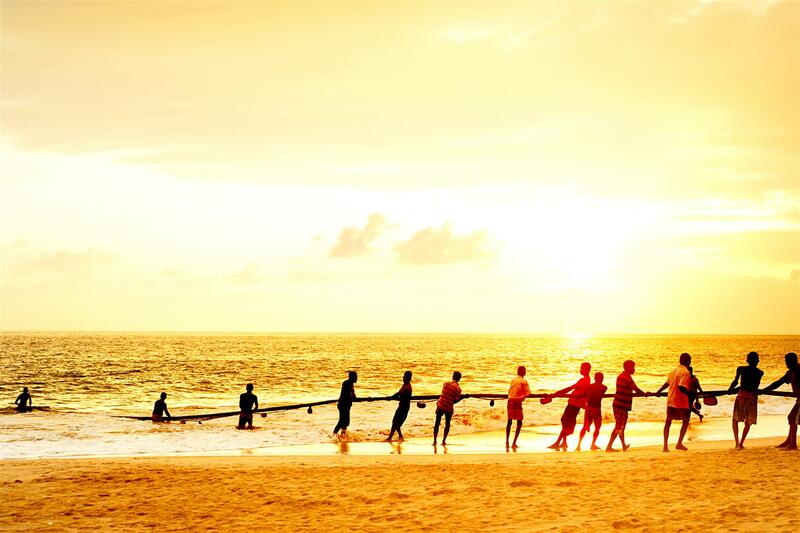 This beach town is popular for traditional stilt fishermen, surfing and other beach activities. The shoreline consists of slim sandy bays and rocky outcrops. This morning we have a visit to a tea estate which is the closest tea estate to the seas called the Handunugoda Tea Estate. However, this is not the only thing that makes the Handunugoda Tea Estate special. The estate is known as the Virgin White Tea Factory – it produces a white tea completely untouched by human hands. The process of tea plucking follow s an ancient Chinese Ritual where the choicest of teas were cut by virgins who never touched the tea with their bare skin and offered the resulting produce up as a tribute to the Emperor. Handunugoda mimics this tradition, although these days the ‘virgin’ concept only applies to the tea, not the tea pluckers! This white tea is rich in anti-oxidants and is said to be the healthiest tea in the world. Coincidentally it is also one of the most expensive teas in the world fetching at over 1500 USD per kilo. According to the latest testing Virgin White has an anti-oxidant content of 10.11 percent, which is said to be the highest naturally occurring content of anti-oxidants in any beverage. Marriage Freres which is perhaps one of the world’s most exclusive Tea Salons situated at Faubourg Saint Honoree in Central Paris offers its exquisite client Handunugoda’s virgin White tea. After the tea factory experience we travel to the Gall Fort and check into Pedler 62. Gall Fort is a UNESCO World Heritage Site, this historic city is a delight to explore on foot, an endlessly exotic old trading port blessed with imposing Dutch-colonial buildings, ancient mosques and churches, grand mansions and museums. Wandering its rambling lanes, you'll pass stylish cafes, quirky boutiques and impeccably restored hotels owned by local and foreign artists, writers, photographers and designers. Tour ends with a night in Colombo before the flight back home.